We started our work in 2008, when we opened our office in Prague (Czech Republic). From the very beginning we specialise on everything connected to information in tourism. We use modern technology to help tourists in learning about the city or exhibition and gaining as much experience as they can from their trip. In order to do so, we use audio-guides, mobile platforms and our own experience in creating informational content for tours and exhibitions. - IZI.travel, where we provide the whole cycle of content creation for tours, from preparing an interesting text through the final step - tour creation. We offer a professional approach, organised work and qualitative results both for our partners and their clients. 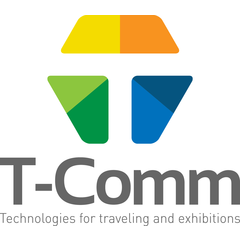 We are ready to cooperate with those who are interested in information technologies in tourism. Welcome to Saint Louis, Missouri!